The printing demo demonstrates how to print to the printer and to an image. 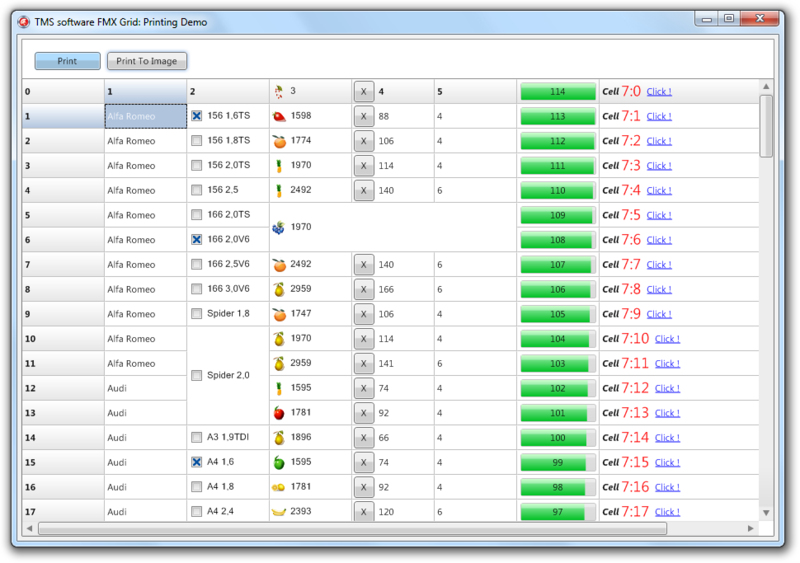 Printing supports several options and events and also supports printing to a separate canvas. When clicking on the print button, the printpreview dialog is shown that allows you to navigate through the pages and select the current page or a range of pages to print.